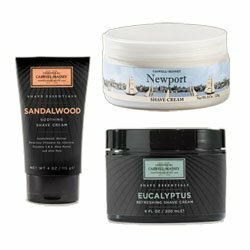 Shave Cream from Caswell-Massey | P.C. Fallon Co.
Banish skin irritation that shaving can cause with wonderfully soothing Shave Cream and Shave Soap from Caswell-Massey. Made with naturally soothing ingredients including Almond Oil, these soaps and Creams can be used with our without a shaving brush. All Caswell-Massey is made in USA.